Record-breaking numbers of Green Turtles have been emerging on North Island’s pristine beaches to lay their eggs. With 3-5 emergences a night last month, August boasted more than double the previous number of emergences ever recorded on the Island in a single month. North Island has the highest density of nesting Green Turtles among the inner islands of the Seychelles and our latest data makes 2018 the year with the highest number of Greens to date. 2018 has seen 373 Green Turtle emergences so far, compared to 314 in 2017, with two and a half months of the year still to go. 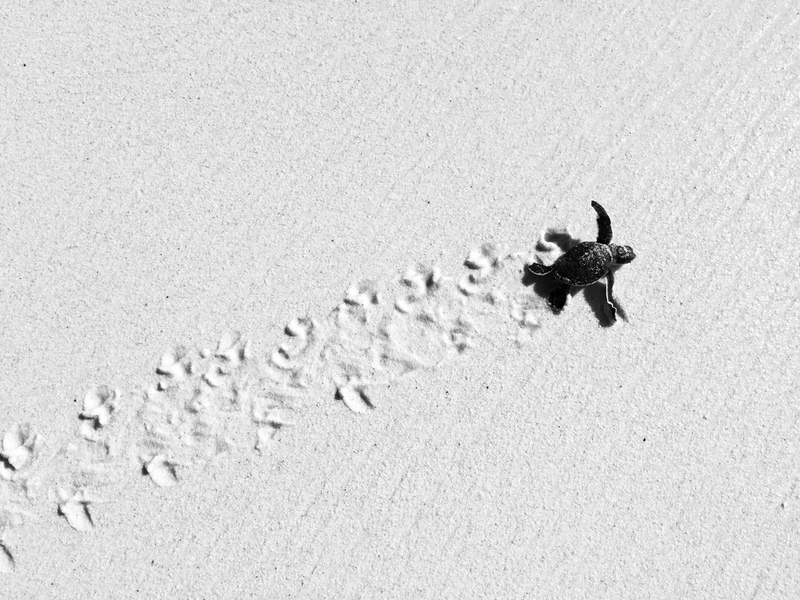 Not only do we monitor and protect this endangered species’ nesting sites, we have also been actively involved in measuring and recording turtle statistics on a daily basis since 1998, with systematic data collection since 2004. 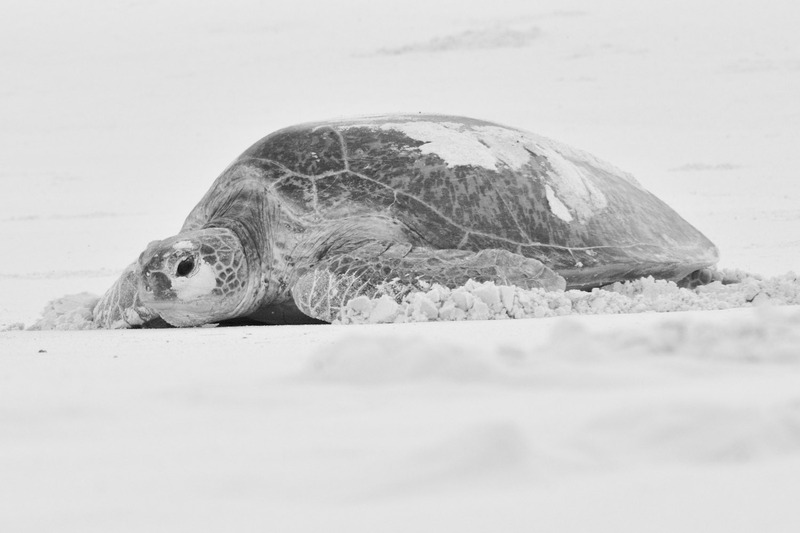 We have surpassed our aim of tagging 30 Green Turtles in a single season – we have tagged 34 new females and counting! This brings the total number of Green Turtles tagged in North Island’s monitoring history to 78. We have also tagged 11 Hawksbill Turtles this year so far, resulting in a grand total number of tagged turtles (Hawksbills and Greens) of 228. The Island has seen the number of Hawksbills utilising the Island double, together with a remarkable 6-fold increase in the number of Green Turtles. As Green Turtle season draws to a close, Hawksbill Turtle season picks up, presenting a year-round opportunity to witness turtle activity on North Island. A once-in-a-lifetime moment.